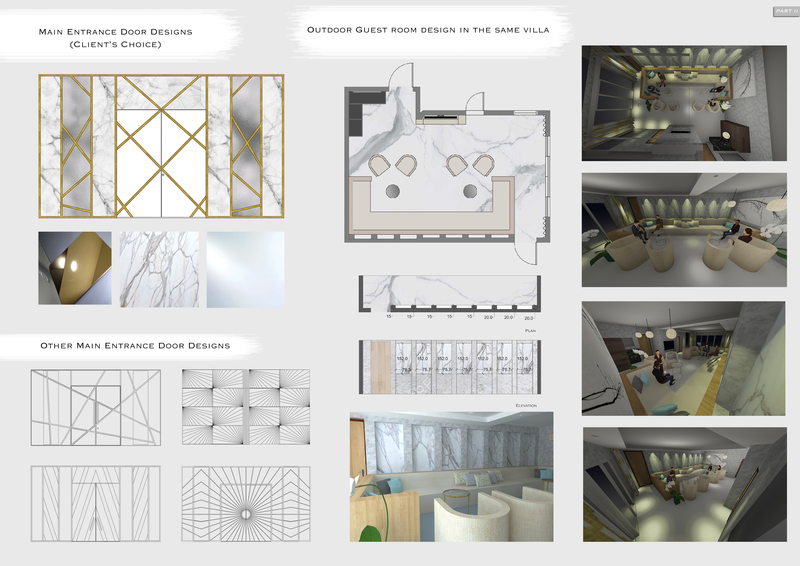 This project was for several rooms in one villa, the client needed to redesign some spaces in the villa to add a new identity to them, since the villa was pre-designed when the client bought it, she wanted to add her own feelings into new redesigned spaces. 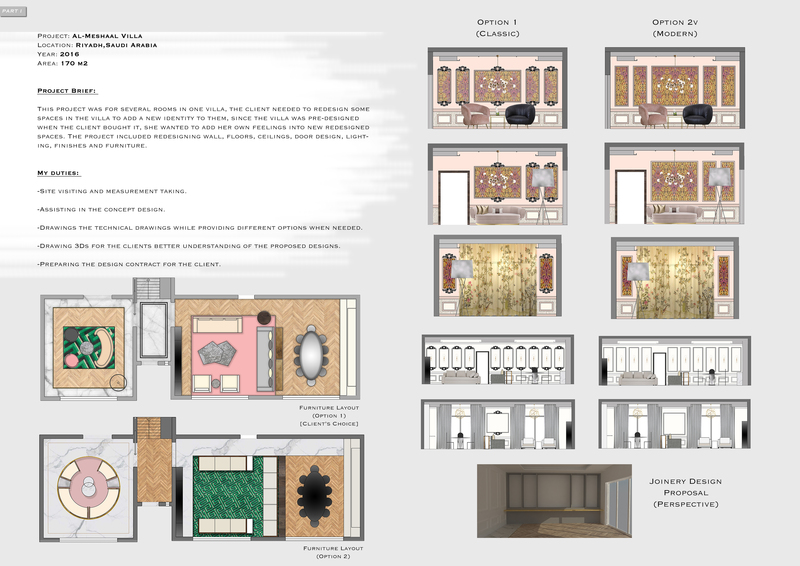 The project included redesigning wall, floors, ceilings, door design, lighting, finishes and furniture. -Site visiting and measurement taking. -Assisting in the concept design. 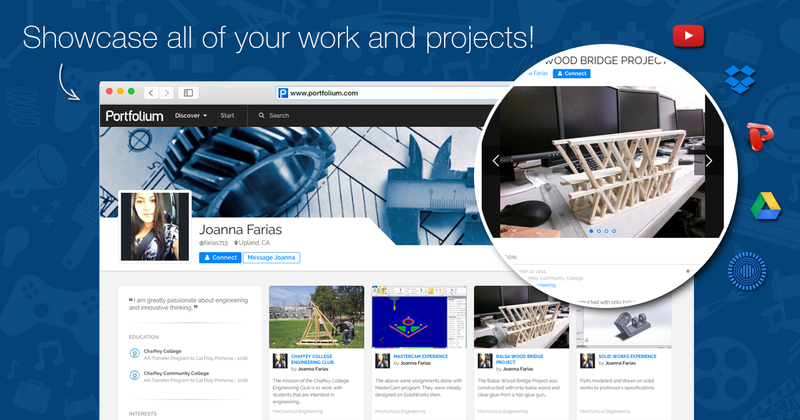 -Drawings the technical drawings while providing different options when needed. -Drawing 3Ds for the clients better understanding of the proposed designs. -Preparing the design contract for the client.